Gently removes makeup and waterproof mascara. 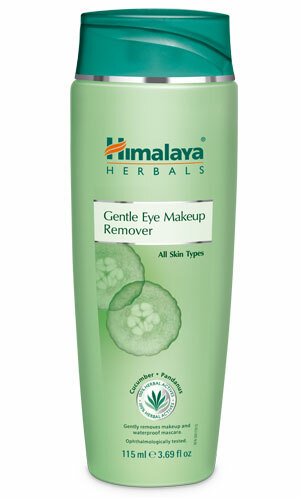 An extra gentle formulation specially made for the delicate skin around the eyes, Himalaya Herbals Gentle Eye Makeup Remover effectively removes eye makeup and waterproof mascara without leaving a greasy residue. Pandanus mildly cleanses the skin around the eyes, while Cucumber which has skin conditioning properties, refreshes and cools the eyes. This refreshing and non-irritating formula is free from synthetic perfume and is suitable for contact lens users. Apply a small amount of Himalaya Herbals Gentle Eye Makeup Remover to a cotton pad and gently wipe around the eye area and lash line.